Thank you. Love, Sergio Marchionne. Jeep has enjoyed an awesome couple of years. 2014 in particular was spectacular; a total of one million new Jeeps were sold, which hands-down met Fiat Chrysler CEO Sergio Marchionne’s sales target. 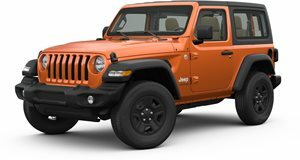 And to celebrate the occasion, Marchionne has announced yet another borderline batshit crazy goal: 1.9 million Jeeps per year by 2018. The sweater-loving exec wants to nearly double annual Jeep sales in no more than three years. Marchionne made the remark during an informal conversation with the media at Detroit this week. This time last year, he predicted that one million-unit 2014 goal, so he may not be completely bonkers. But still, the Toledo, Ohio, Jeep plant can’t keep up with Wrangler demand. In fact, half of all Jeeps are built there. But Marchionne wouldn’t be Marchionne if he didn’t have the proper ammo to fire. The new Italian-built Jeep Renegade will soon go on sale which will very likely bolster brand sales even higher. 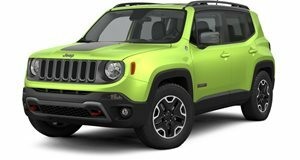 A new Jeep plant near Recife, Brazil, is set to open this spring where a variant of the Renegade will be built. And finally, FCA plans to have a new Jeep plant in China up and running before the end of this year. Maybe 1.9 million Jeeps per year isn’t so nuts after all.